The motorcade left Houston following a private funeral attended by roughly 1,500 people at the church she and her husband, former President George H.W. Bush, regularly attended. He was among four former U.S. presidents at the service. Hundreds of people lined streets as more than a dozen vehicles in the procession slowly wound their way from the nation’s largest Episcopal church in Houston to the campus in College Station, about 100 miles (161 kilometers) away. The university is home to George H.W. Bush’s presidential library. Barbara Bush will be buried in a gated plot near the grave of their 3-year-old daughter, Robin. She died of leukemia in 1953. A funeral procession is making its way to Texas A&M University for the burial of former first lady Barbara Bush. Roughly 1,500 people attended a private funeral Saturday in Houston for the wife of former President George H.W. Bush. He was among four former U.S. presidents at the service. Barbara Bush will be laid to rest in a gated plot at her husband’s presidential library at the university in College Station, Texas. The couple’s daughter Robin is also buried there. She was 3 when she died of leukemia in 1953. Hundreds of people are lining both sides of the street near where the procession with turn to enter campus. Several dozen people are watching from a parking garage across the street from the university’s football and baseball stadiums, which are draped in a large American flag and a Texas flag. Barbara Bush’s casket has been wheeled out of the Houston church where hundreds of people came to offer their final respects during her funeral. Eight of her grandsons served as pallbearers. Behind them, her husband and former President George H.W. Bush followed in his wheelchair, which was pushed by their son, former President George W. Bush. As he was pushed down the walkway in the church, George H.W. Bush shook hands with some of the people who were in the pews. In his lap, he carried his glasses and a copy of the funeral program. Mourners sang “Joyful, joyful, we adore thee” as the family left the nation’s largest episcopal church. Burial will follow at the Bush Library in College Station, Texas. Bush delivered a eulogy during the funeral for former first lady Barbara Bush, who died Tuesday at age 92. He emphasized how one of the most important lessons she taught him and others was the power of laughter and that joy should be shared. 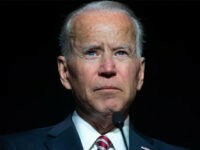 He choked up at one point, saying his mother — who was known for her self-deprecating remarks about her wrinkles and gray hair — was “beautiful” until the very end. Bush said he felt priviliged that he had a “front row” seat to the incredible love story that his parents shared. Baker is the wife of former Secretary of State James A. Baker III. She gave a eulogy during Bush’s funeral on Saturday at the Houston church where Barbara Bush and her husband, former President George H.W. Bush, regularly worshipped. Baker called Barbara Bush an “amazing and beautiful friend,” recalling how Bush helped her settle in when she first moved to Washington, D.C.
Baker emphasized Barbara Bush’s kindness, compassion and ability to make others feel welcomed. Meacham spoke to hundreds of people attending the funeral Saturday for the former first lady in Houston. Meacham recalled her work bringing awareness to AIDS patients and in promoting literacy. He also spoke of her quick wit that made her so popular. Meacham wrote a 2015 biography of George H.W. Bush, who is attending the service along with many members of his family and three other former presidents. His granddaughters are providing readings during the service and his grandsons are serving as pallbearers. Former President George H.W. Bush has arrived with his family at the funeral for his wife of 73 years, former first lady Barbara Bush. The former president was helped in with a wheelchair behind his sons, former President George W. Bush and former Florida Gov. Jeb Bush, and other Bush relatives. Also now seated in the front of the church, in the same pew, are two other former presidents — Bill Clinton and Barack Obama — along with their wives and current first lady Melania Trump. About 1,500 people are expected at the private service Saturday at St. Martin’s Episcopal Church in Houston. Barbara Bush and her husband regularly worshipped at the church, which is the largest Episcopal church in the country. Guests arriving for the funeral for former first lady Barbara Bush are starting to fill the nation’s largest Episcopal church, embracing and talking beneath the church’s cavernous sanctuary. About 1,500 people are expected at the private service Saturday at St. Martin’s Episcopal Church in Houston, where Mrs. Bush and her husband, George H.W. Bush, long worshipped. Along with the former president, three other former presidents also will attend: the couple’s son, George W. Bush, Bill Clinton and Barack Obama. A program shows that Barbara Bush’s granddaughters will offer a reading during the service and her grandsons will serve pallbearers. Her son, former Florida Gov. Jeb Bush, will deliver a eulogy, as will longtime friend Susan Baker and historian Jon Meacham, who wrote a 2015 biography of George H.W. Bush. Officials say more than 6,200 people came through the church Friday to pay their final respects to the former first lady, who died Tuesday at her Houston home. She was 92. Guests have begun to arrive at St. Martin’s Church in Houston for the funeral of former first lady Barbara Bush. About 1,500 people are expected at Saturday’s private service, including four former presidents — Bush’s husband and son, George H.W. and George W. Bush, Bill Clinton and Barack Obama. After the service, Barbara Bush will be laid to rest in a gated plot at the Bush Library at Texas A&M University where her and her husband’s daughter Robin, who died of leukemia in 1953 at age 3, is also buried. 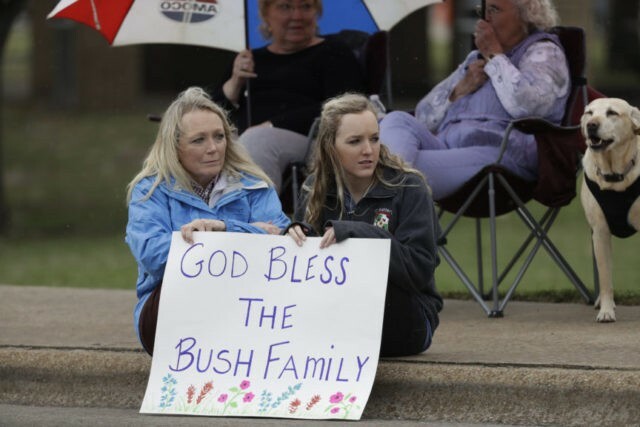 Thousands of people on Friday paid respects to Bush, who died Tuesday at her Houston home at age 92. Some 1,500 guests are expected to attend a private funeral for Barbara Bush at the nation’s largest Episcopal church. First lady Melania Trump, former President Bill Clinton and his wife, Hillary, and former President Barack Obama and his wife, Michelle, are among those expected to attend the invitation-only service at St. Martin’s Episcopal Church in Houston. Burial will follow at the Bush Library in College Station, Texas. Son and former Florida Gov. Jeb Bush, longtime friend Susan Baker and historian Jon Meacham, who wrote a 2015 biography of George H.W. Bush, will deliver eulogies. Thousands of people on Friday paid respects to Barbara Bush, wife of the nation’s 41st president and mother of the nation’s 43rd. Bush died Tuesday at her Houston home. She was 92.